We decided to give the taco mix a go and it really couldn't have been easier. I just cooked the mince up with some peppers and added the spice mix with a bit of water. It smelt really good and I couldn't wait to try it! 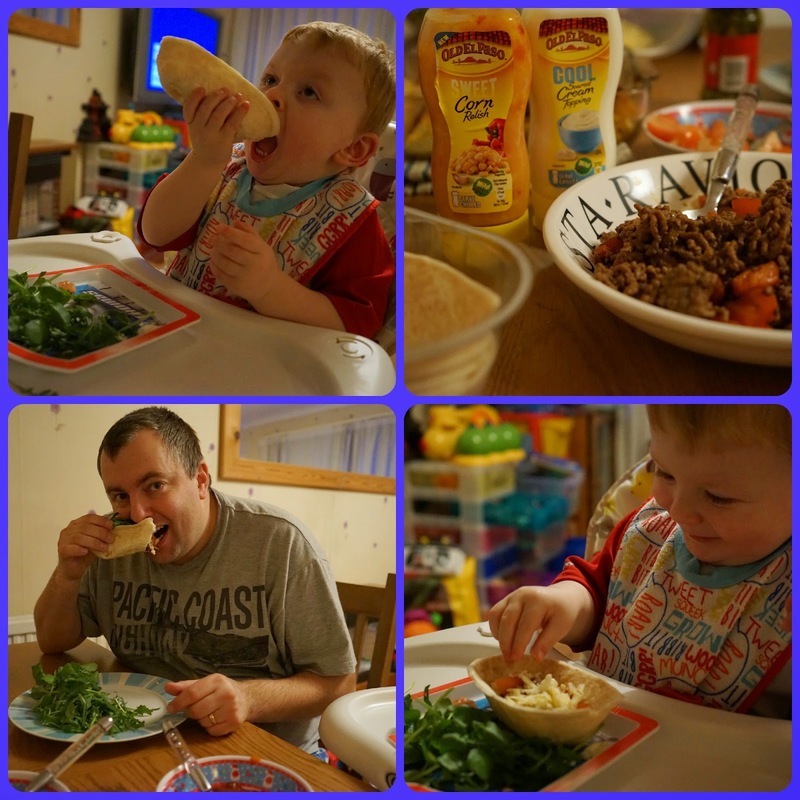 I served up the beef with the soft tacos - I've always struggled eating the crunchy tacos (I make far too much mess!) so these were great and really tasty. The corn relish and the sour cream topping were both really nice and made a welcome change to mayonnaise which is what I usually squirt on top! I was planning on trying the guacamole mix too but the advacados I bought were rock hard and definitely not ripe enough to mash up. Will save this for another time! We had the fajitas a couple of days later and it was good to try something a little different to the smoky bbq ones that we usually have. The packet mix said medium spice but I like the fact you can make them to your taste by just adding as much spice mix as you like. We like a bit of a spice so I used the whole packet and it was really nice, although Elliot did say "bit spicy mummy! ".....didn't stop him gobbling his fajita up though! The Old El Paso mix kits are really handy if you're after a quick dinner. I don't usually have alot of time in the week to make a big meal from scratch so these are a godsend! Disclaimer: I received the items in the first picture for the purpose of this honest review. All views are my own...and the food really was tasty! 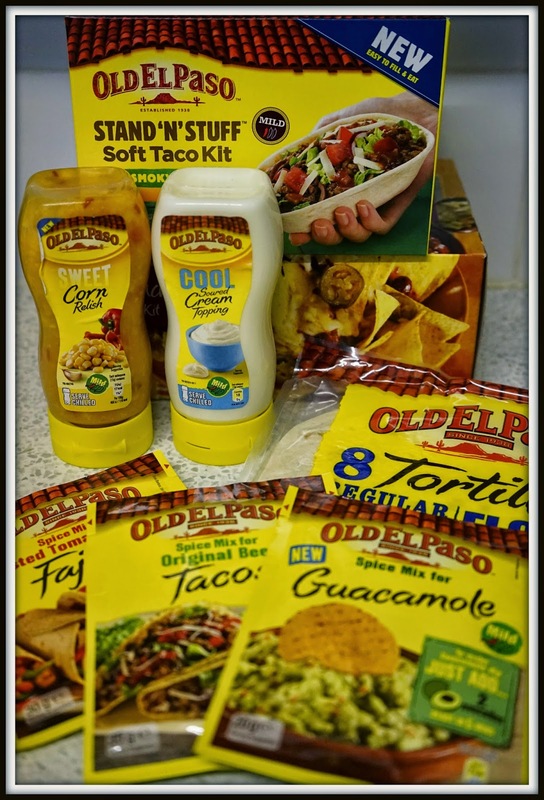 I love Old El Paso too, makes dinner time so much easier!